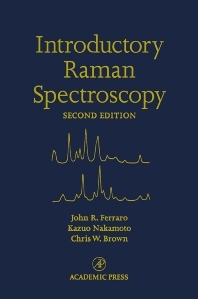 This second edition of Introductory Raman Spectroscopy serves as a guide to newcomers who wish to become acquainted with this dynamic technique. Written by three acknowledged experts this title uses examples to illustrate the usefulness of the technique of Raman spectroscopy in such diverse areas as forensic science, biochemistry, medical, pharmaceutical prescription and illicit drugs. The technique also has many uses in industry.